Pavel asks if Heraclius ever fought a battle at Issus- the famous spot where Alexander the Great defeated a huge Persian army led by his rival Darius. 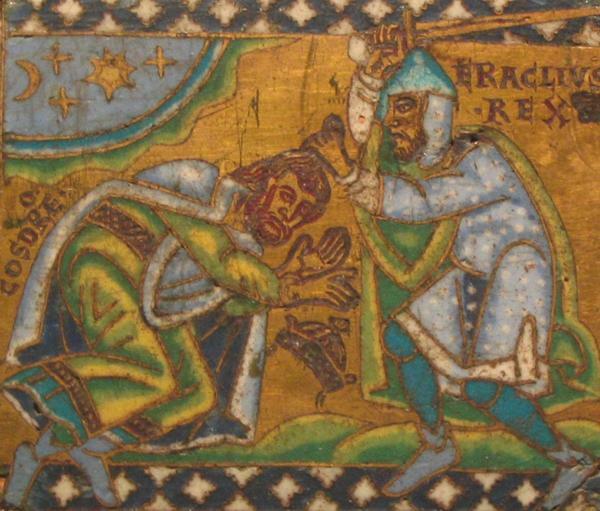 Heraclius in a way combined his two predecessors- a Greek-speaking, Hellenized, Roman Emperor. In the autumn of 622, he crossed the Aegean looking for the Persian army. They met at the famous Issus, but unlike the previous two battles this one wasn’t decisive. Neither army was really willing to come to grips and (despite an alleged prediction by Mohammed that it would result in a major Roman victory), it was more of a skirmish. 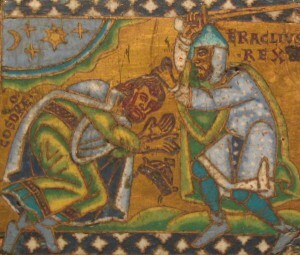 Heraclius spent the next several years trying to force a Persian engagement and nearly lost it all when he was ambushed crossing a river. The tide turned in 624, but it wasn’t until December of 627- half a decade after the battle of Issus- that he was able to fight a decisive battle with the Persians.